Bonus Key Qualifying Criteria: +21 Only, New Sportsbook Customers Only. Get up to a $500 refund in site credit if you lose your first bet! (Refund within 72hrs). Your first bet will qualify (If you have multiple selections on one betslip, it will the first selection you made). USA, NJ Only, Eligibility restrictions apply, See website for details. FanDuel debuted in 2009 as an online fantasy sports betting site, operating from and licensed in the U.S. Its success in that market has seen it grow to become the second largest daily fantasy sports service in the U.S. and prompted its interest in parlaying that prowess into the realm of real-world sports betting. This latter move followed the decision of the Supreme Court in 2016 that opened up the U.S. for legal sports betting, and FanDuel quickly capitalized on that newfound freedom to establish its online sportsbook. Its success in this new environment attracted the interest of one of Europe’s largest online bookmaking groups, and in 2018 the company was acquired by the mighty Paddy Power Betfair. Bonus Key Qualifying Criteria: FanDuel Sports New Jersey Sign Up Offers – $500 Risk Free Bet – +21 Only, New Sportsbook Customers Only. Get up to a $500 refund in site credit if you lose your first bet! (Refund within 72hrs). Your first bet will qualify (If you have multiple selections on one betslip, it will the first selection you made). USA, NJ Only. Register from anywhere. Playable in NJ only. Eligibility restrictions apply, See website for details. FanDuel Sportsbook has a sports betting licence from the New Jersey Division of Gaming Enforcement (NJ DGE). FanDuel Sportsbook has a partnership with Meadowlands Racetrack in New Jersey that allows it to offer NJ sports betting. To play at FanDuel Sportsbook NJ, you must be located within the state lines of New Jersey. You do not have to live in New Jersey you simply have to be inside NJ to wager at FanDuel Sportsbook. FanDuel Sportsbook has over many sports sections covering most sporting events that are happening around the globe 24/7. FanDuel Sportsbook odds are renowned. FanDuel Sportsbook provides a packed stats package including match previews and articles. 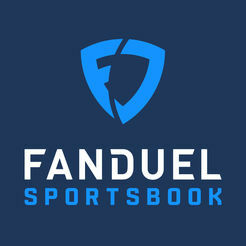 See FanDuel Sportsbook site for details on FanDuel Sportsbook Live Betting. FanDuel has clearly taken advantage of its relatively recent entry into sportsbook betting to create a site that follows some of the best design practices of European-based sportsbooks. This is a very clean and easy site to navigate, particularly if you’re coming to online sportsbook betting for the first time. For complete novices, FanDuel lays on its Sports Betting Training Camp page that gives a neat introduction to the basic betting propositions of its straight, parlay and teaser options, including examples to illustrate the distinctions. At the time of the review, FanDuel had plenty to appeal to U.S. sports fans covering basketball, boxing, football, golf, hockey, MMA soccer and tennis. However we do hope, in time, its acquisition by Paddy Power Betfair will open this up to the wider universe of sports betting our European neighbors get to indulge! Interaction with the service is extremely user friendly, from a simply registration process to a highly intuitive integrated betslip window that lets you easily compile, edit and place bets under Standard, Teaser and Round Robin categories. The main desktop site also plays nicely when loaded into mobile device browsers too, but for additional convenience FanDuel also offers native iOS and Android apps that offer pretty much all the functionality of the main site. FanDuel Sportsbook offers an iOS app and an Android app but it’s just as easy to play on your Smartphone’s browser. FanDuel Sportsbook offers excellent 24/7 support, 7 days a week. FanDuel uses Live Chat, Email, Phone and Post. FanDuel has certainly created a strong proposition for U.S. bettors with its sportsbook. This is a very smart and simple service to use, with decent promotions sweetening the deal of signing up to do your online wagering here. Better yet we foresees that the company’s acquisition by Paddy Power Betfair can only mean interesting developments in the breadth and depth of its offers, so it has a future that could well see it become as dominant in U.S. online sports betting as it currently is in Fantasy Sports.